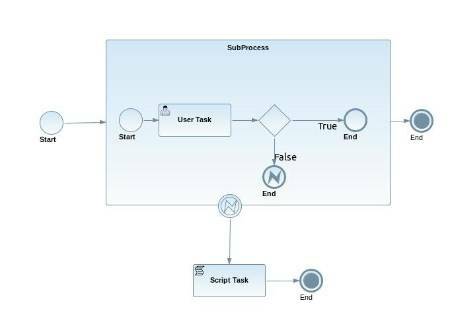 I developed that process with a SubProcess (designed with the new BPMN2 editor). The xml definition is attached. java.lang.IllegalArgumentException: Completing a node instance that has no outgoing connection not suppoerted. But -of course- the Task has outgoing connections...it's a bug or am I missing something? The only strange thing I'm seeing is that the subprocess node doesn't have an outgoing connection. So, when the gateway inside your subprocess evaluates to true, the subprocess is ended, but there is no "next node". This should be a compilation-time error. 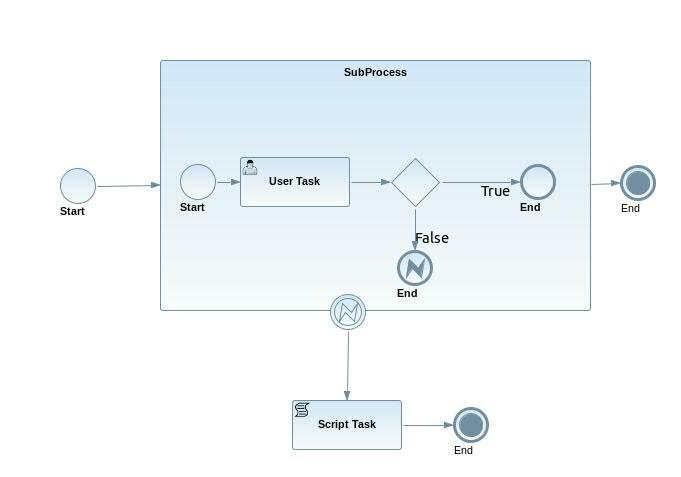 Try to add an end node after the subprocess to see what happens. Well... that definitively seems like a bug to me... In your particular case, try making the end node inside the subprocess a "terminate end event" (just like the one you have outside the subprocess). I 'll add a Jira for the previous process definition. I mean... It seems like a bug. 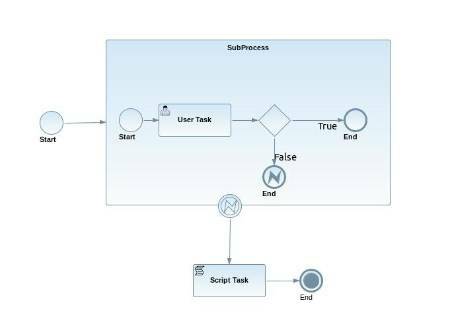 What if you don't want to end the entire process inside your subprocess... ? So, the parsing error you are getting is a bug.